TLC is slated to premier a new show on January 11th titled "My Husband's Not Gay". The show profiles men who admit their sexual attraction to other men but choose to form their primary relationships with women and conduct their lives in a heterosexual styling. The show has raised the ire of queer activists and the organization GLAAD; a petition calling for the cancellation of the show has garnered more than 70 000 signatures. Several reason motivate my defense of My Husband's Not Gay. Foremost, I am tired of the emergent trend in activism that prescribes that media censorship is a better project of justice than teaching critical consumption. A population of non-offensive zombies is not better than population of critical thinkers. Similarly, calls to ban and boycott The Interview illustrate how activists would rather silence disagreeable texts than engage in difficult discussions. The viewers of the The Interview are not inherently racist, and the producers and potential viewers of My Husband's Not Gay are not inherently homophobic. Secondly, TLC is profiling real people's lives. It disturbs me that 70 000 people think that they should silence actual people's stories because of a debatable claim of homophobia. The signatories of the petition to cancel My Husband's Not Gay have committed an act of epistemic violence, a type of violence enacted within a knowledge system that erases 'undesirable' stories. Epistemic violence was and is a mechanism that insulates the power dynamics imposed by European colonialism. Let's deconstruct the idea that "being gay isn't a choice". Well actually it is, and My Husband's Not Gay is the perfect example of how sexual identities are always a choice, and we shouldn't have a problem with it. Social identities are understood through the dual processes of identification and expression. Identification is entirely personal. Identities are the product of self-determination. No one can force a hostile identity onto a person; identities require consent. Expression is how bodies are understood as social actors. For example, complexion is socially understood as racialized identities. Expression and identity are conflated through essentialism, which associates a set of preconceived stereotypes with the appearance or behavior of bodies. The key difference between identity and expression is that identity is personal while expression requires external authentication. 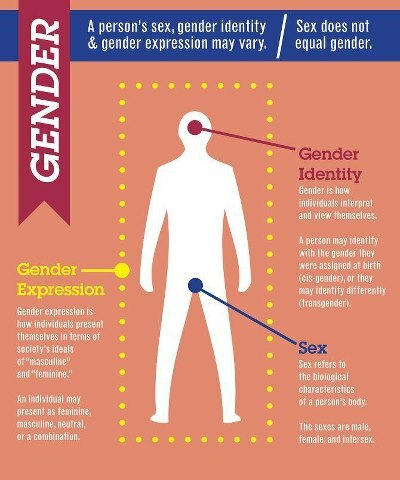 Sexualities are personal identities, no one (even if there are 70 000 of them) can tell you how to identify. Onlookers can only evaluate social expressions. Men's sexual attraction to men does not mean a gay identity. To suggest so erases the possibility of bi and pansexuality and completely disregards self-determination. Humans are very capable of choosing to resist their desires. We needn't look further than diets to confirm this. If the men of My Husband's Not Gay don't identify as gay, they aren't. It's really that easy. The "born this way" dialogue is a dated idea used as a plank to achieve queer rights, but it's a problematic oversimplification. Gender and sexual identities are in constant flux. People aren't born into immutable stereotypes, and activism that suggests so is problematic. I'm not supporting the ex-gay movement, and I don't think it's OK to tell queer people they should be changed or cured. In staunch civil libertarian tradition, I believe that if consenting adults want to live a lifestyle that doesn't hurt anyone else, who am I to intervene? The resistance to TLC's My Husband's Not Gay is actually resistance to a more complex and more accurate understanding of lived realities.